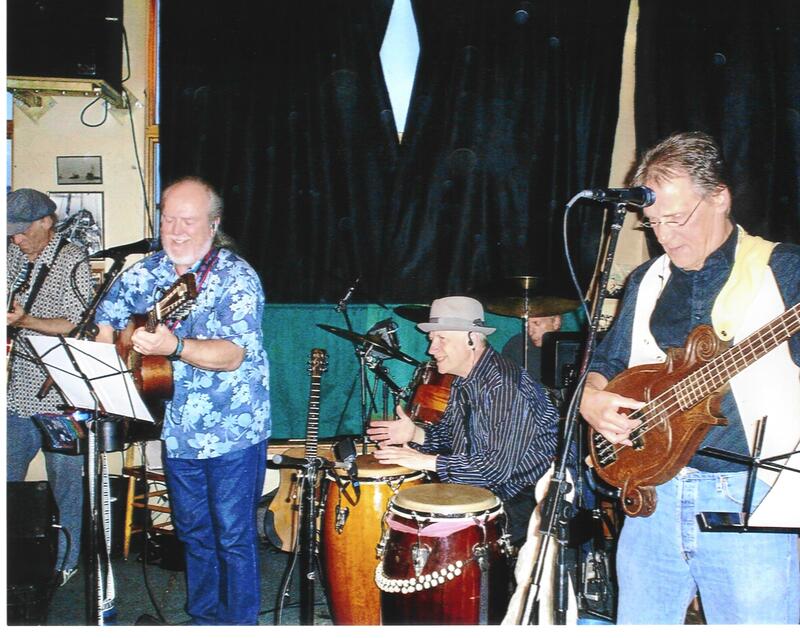 THE DAILY FLASH will be performing at Grinders on Saturday, July 12th, 2014. They've got A/C, so come on in and enjoy the cool! As always, we love playing at Grinders, so get those reservations in ASAP! Grinders always books up in record time. It's the coolest joint around and we'll be heatin' it up Flash style! We've got new music and old favourites, so come on out and support live music and a great establishment. The beer and wine are the best (try the excellent St. Peter's Porter), the food and desserts are beyond excellent, it’s all ages and they have the best in live music anywhere! Their culinary skills got a rave review in the Seattle Times. Call 206-542-0627 for reservations, and don't forget that they've been featured in Sunset Magazine, Seattle Times, The Stranger and YouTube, to name a few. We also had a stellar gig at Hale's Palladium, celebrating the music of local legend, Ron Davies. You can read a great review of the evening, featuring THE DAILY FLASH, by clicking here. And you can find out more about the Ron Davies' CD, "The Mystery of Ron Davies", which has a cut performed by the guys, here. NEWS FLASH!! Grinders Hot Sands is now open 6 days a week for your dining pleasure! Every day but Monday (yes, they're open on Sundays now, too! ), Mitch and Denise will be holding forth and serving up that great food! Try the Luca Brasi Special (yum! ), homemade andouille sausage grinder or the pot roast on ciabatta bread. To die for! We've been having the best time hanging out at Grinders! No one makes you feel more at home than Mitch, Denise and the great crew! It's gotten to be a fav hangout for watching THE DAILY FLASH and having some truly fantastic food! The upshot is that the place is SRO every month. So, our advice is to get your reservations in EARLY! The guys have been working up some new tunes for your listening pleasure, and have been hard at work on their new album. Check out a few of the new song samples on the song list page. Hey, check this out! Someone on youtube has uploaded a piece from The Girl From U.N.C.L.E. 's "The Drublegratz Affair", with the original DAILY FLASH singing "My Bulgarian Baby"! There are other Daily Flash videos on youtube. Some are from the original Daily Flash, some are the Millenium edition. They're all great fun. WOO HOO!!!!! It's official! What we've always known...THE DAILY FLASH is Number One in Seattle! Thanks to all of you, they have been chosen as the favorite band in Seattle! Check out the great writeup they got by clicking the link and give yourselves a round of applause for making it happen. Thanks too, for helping Grinders get into the top ten. And since this was the very last edition of the Peoples' Picks Awards, THE DAILY FLASH must be the all time Seattle Fav band! 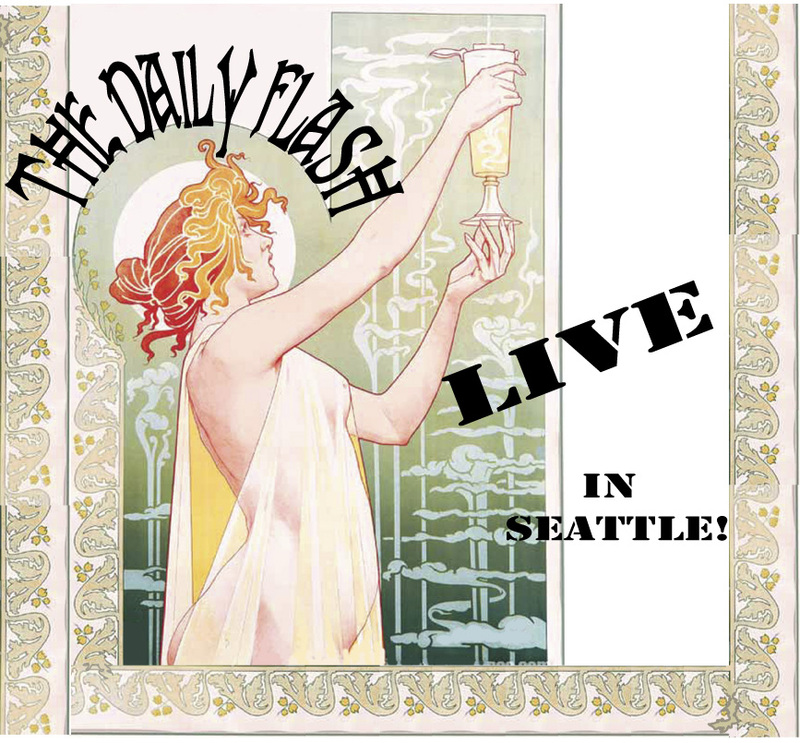 THE DAILY FLASH was featured in a Seattle Times article about the Summer of Love. Check it out here. The Summer of Love 40th Anniversary Tour has come and gone. 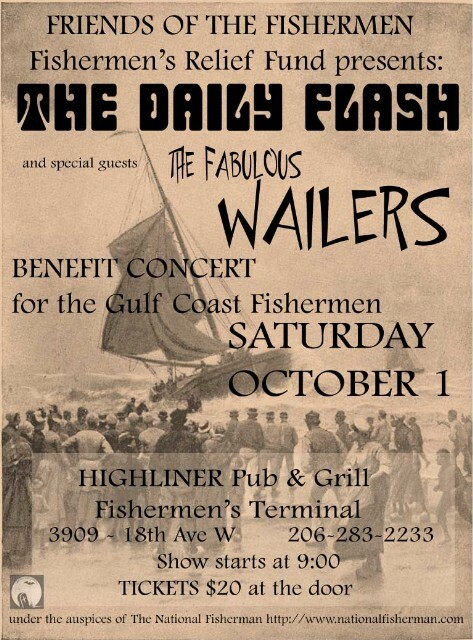 THE DAILY FLASH had a great time, and Steve got a chance to reminisce with some of the people he shared gigs with back then. Here's a picture from the event. By the way, the Stillaguamish put on one heck of a pow-wow! Check it out sometime. The live DAILY FLASH CD is here! 15 live tracks and a hidden bonus track, recorded last year. This release is sure to take the chill off the winter! Hey! THE DAILY FLASH can now be found on youtube.com and on myspace.com. Check out a live video of "Matchbox" on youtube, and then dash over to their myspace page to listen to some live tracks recorded at the last gig by our resident soundgod and FLASH member, CRAIG BYSTROM! What a wonderful time we all had when JON KELIEHOR was in town. He played a couple of gigs with the band, and it was great! Now if we could just get him and Doug at the same time. Hmm. And hopefully, Jon won't stay away as long next time! Here are a couple of pictures from a gig THE DAILY FLASH played with their original lead guitarist, DOUG HASTINGS sitting in. THE DAILY FLASH store at cafepress.com. Be the first in your neighborhood to own a DAILY FLASH T-shirt! Don't forget to subscribe to The Daily Flash mailing list! Get instant notification of gigs!